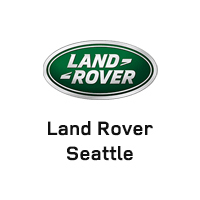 At Land Rover Seattle, we’re committed to reflecting the superior quality of the Land Rover brand at every turn. We’ll do everything possible to ensure that your experience buying and owning a high-performance luxury SUV is convenient, comfortable, and complete. Our sales staff is here to help you compare models, specs, and prices so that you end up in a vehicle that perfectly matches your needs and wants. If you’re looking for something different to drive, consider a new Land Rover or one of our pre-owned vehicle options. Whether you’re looking for something sporty, luxurious, powerful, or all-purpose, you will have multiple options to compare and consider when you work with us. Our financing process is easy to understand and quick to complete so that you can get out on the road sooner. And with the help of our service department, you can ensure that any model you choose to drive stays in perfect running order for many years and thousands of miles to come. We are also the area’s best source for official Land Rover parts and accessories. Drivers and car buyers from Edmonds, Seattle, Everett, and Lynnwood trust our dealership to treat them and their vehicle with care and respect. If you have been looking for a better option for sales, financing, service, parts, or anything in between, you have now found it. Contact us for any information about the current Land Rover lineup, to set up a test drive, and to have all your questions answered.